A mobile VR game built for Google Cardboard for those that need to fulfill their nostalgia of the old Windows 95 operating systems. 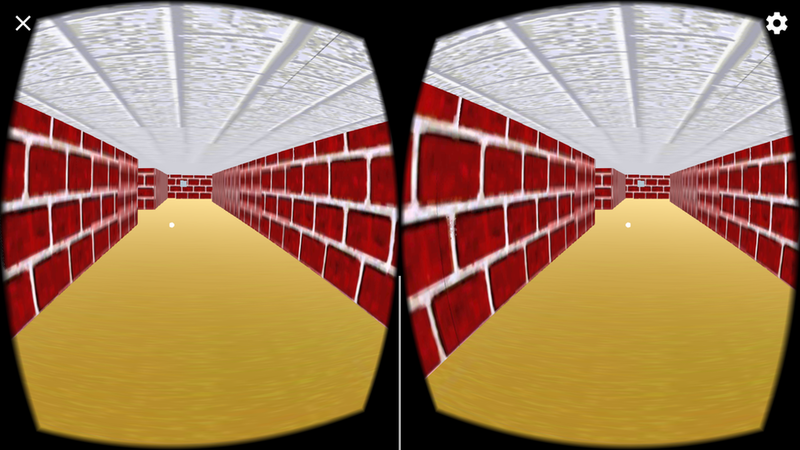 This virtual reality project sees the player navigate the Windows 95 screensaver environment, requiring them to collect keys that enable their escape. The final version of the game ended up being very successful. A user with no previous VR experience navigated and played the game with no issues. In that regard, the design process was outstanding. I placed walls, added lights and materials, and then coded a fully functional VR maze game. Features include 3D UI, waypoint-based navigation, clickable objects, and spatial audio. Players will navigate the maze, collect coins along the way, then find a key that opens a gate to secret treasure. The considerations for this project focused mainly on the design and iterative process using constant user testing to improve the final version of the game. One design consideration I had to make was the size of the play area. Mazes can get very complicated, and therefore users will loose interest and quit. It was important to design this one in a way where the maze was not too simple but not so complex that players could get lost easily. I combated this problem by introducing some of the original Windows 95 screensaver elements into the experience (i.e. smiley faces turning the world upside down, random 1974 OpenGL book covers, etc., etc). ”Windows 95 Maze” is a fun and easy mobile VR experience targeted towards new and experienced VR enthusiasts. 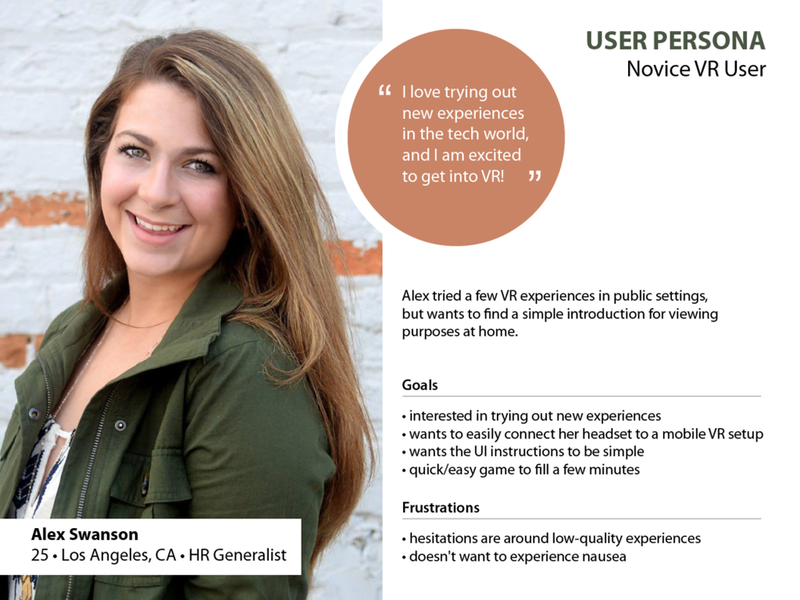 This user persona focuses on a new VR user. Google Cardboard games are normally for people who have yet to experience VR on their own or are new to the concept in general. Although, Cardboard can turn people off from VR because of the low-quality and sometimes mediocre experiences learning how to design and development to a high bar on a low performing platform only helps create a better mindset when building for room-scale and/or 6DOF. First initial sketch. This ended up being too complex and not meeting the mark for a first time user. The maze was too long and as a result the user would spent too much time in the headset. I ran the project through a series of user tests and iterations. I incorporated the feedback as necessary and made changes where needed, gradually refining the experience. During user testing some of the participants complained of slight motion sickness while the others had no such issue. In response, I decreased the travel speed slightly to a more natural speed for the distance being traveled. The user tests also revealed that the environment needed to be scaled up, so the maze felt the correct size. I wanted them to feel similar in size to the original screensaver. Build a VR application using Unity and the Google VR SDK where the user explores a maze environment to demonstrate working knowledge of 2D and 3D UI, waypoint based navigation, procedural animation, interactive objects, spatial audio, particle effects and persistent storage of session data.